Well, we might as well get the obvious one out of the way. The Sydney Royal Easter Show has been dazzling Australians for nearly 200 years, and it’s back with a bang for 2017. There’s so much awesome stuff going on we could never dream of listing it all, but here’s a little taster to get you in the mood. Ready? Okay: pony rides, international markets, carnival rides (look out for “Alien Abduction”), fireworks, daredevil motorbike stunts, agricultural contests, animal shows, film screenings, arts & crafts workshops, and heaps of the finest food and drink that New South Wales has to offer. Phew! We’ll see you there. It was the defining pop culture phenomenon for a generation, and it all began with a kid in a cupboard in Little Whinging. Harry Potter and the Philosopher’s Stone is a timeless family classic, and John Williams’ immortal score is a huge part of what makes it so magical. Thus, you should jump on your broomstick and zip down to the Opera House this month, where you’ll have the chance to witness a special screening of the film accompanied live by the Sydney Symphony Orchestra. What better way to watch miniature versions of Daniel Radcliffe, Emma Watson and Rupert Grint scuttle about Hogwarts and bother the wonderful Alan Rickman? 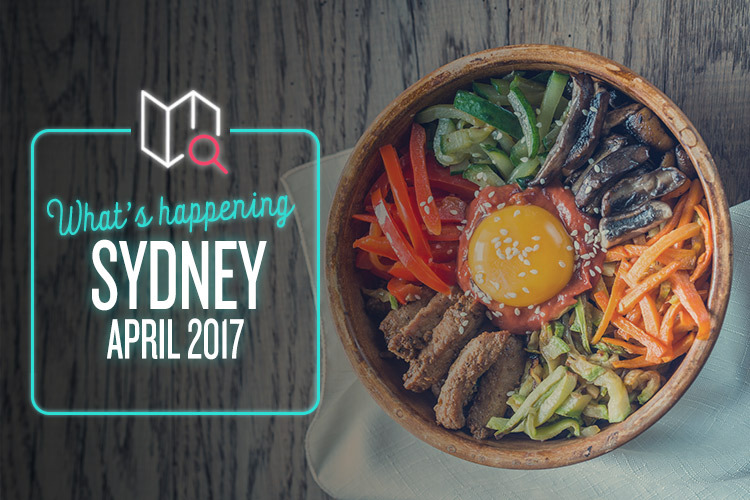 Korea is a unique and fascinating part of the world, and the very best of it will be coming to Sydney at the start of the month. That’s two whole days of incredible Korean sights, sounds, flavours and experiences to enjoy, with a huge range of activities on offer. This year is set to be the biggest edition of the festival yet, with loads more food stalls than last time around. The Korea Drama & Film Awards are also being introduced this year, as are the spectacular K-Talent stage performances. It’ll be a rather daebak weekend, as they say over there. Sometimes, you simply need to douse yourself in colourful powder and dance the day away with a joyful sense of communal abandon. That’s where Colorfest comes in, and it’s looking like a doozy. There’ll be tons of food and entertainment at this unique event, along with colour throwing sessions every half hour. The soundtrack will be provided by some of the best DJs in Sydney, including Brooklyn, Tom Budin, Seiren and Bali. It’s the perfect way to cut loose, and it’s very family-friendly as well. Head down and express yourself!